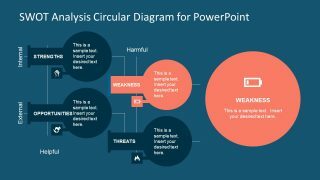 The SWOT Analysis Circular Diagram for PowerPoint is an incredible template diagram with unique lab flask icons. 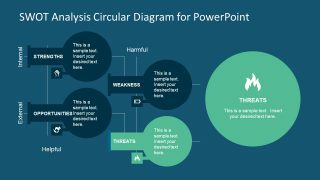 The template is a flat design vector diagram of SWOT matrix with cool infographic icons relevant to the terms. The SWOT stands for Strength, Weaknesses, Opportunities and Threats and significantly important to business and organizations. It is an overall performance evaluation of the company processes and procedures according to the global market standards. 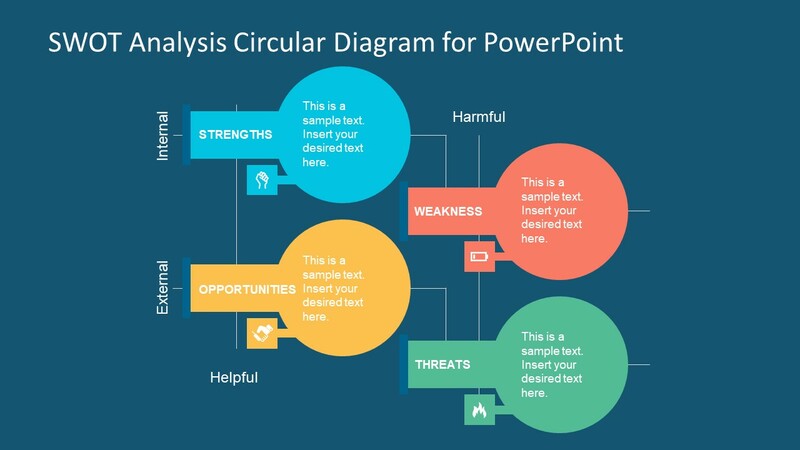 Although, the PowerPoint diagram here is different from the traditional 4 section SWOT matrix. It shows four circular icons depict a lab flask showing internal and external factors horizontally. 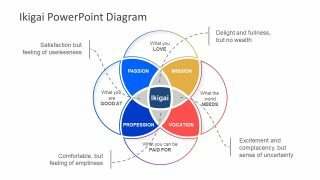 This PowerPoint displays the amazing graphics for an impressive visual impact. 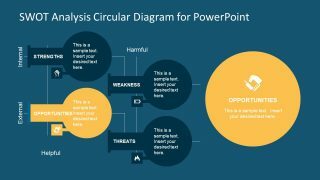 This amazing SWOT Analysis Circular Diagram for PowerPoint contains the infographic icons to represent the factors. These include, fist for strength, low battery for weakness, hand shake for opportunities and fire for threats. 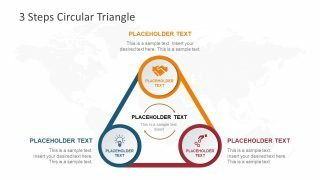 The editable PowerPoint template also has four further slides which help focus on each component individually. These slides highlights one factor with color while graying out the rest. Additionally, the template provides the text placeholders to add important key notes and customize the size, color or font. 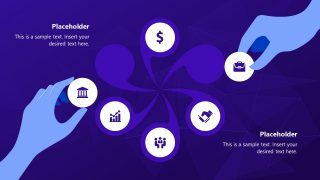 Similarly, edit the circular diagram of SWOT template by changing colors, resizing the graphics or modifying background. The presentation of SWOT analysis in circular diagram of PowerPoint is a decision-making template. Once the company identify weaknesses and threats, they can create a plan for improvement. One the other hand, use the opportunities to explore more business options and use the strengths to ensure success. 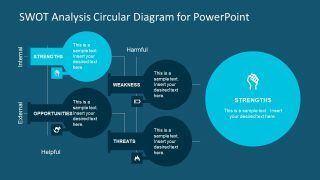 The circular diagram of SWOT analysis template ppt shows the options in an impressive design in professional PowerPoint. The creative business template diagram helps bring more ideas to the table which plays key role in planning and analysis. 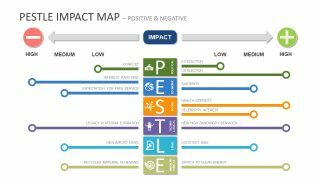 Moreover, the SWOT analysis diagram is useful for evaluating ventures and implementing healthier strategies.